First preheat the oven to 375 F and line a baking sheet with parchment paper. 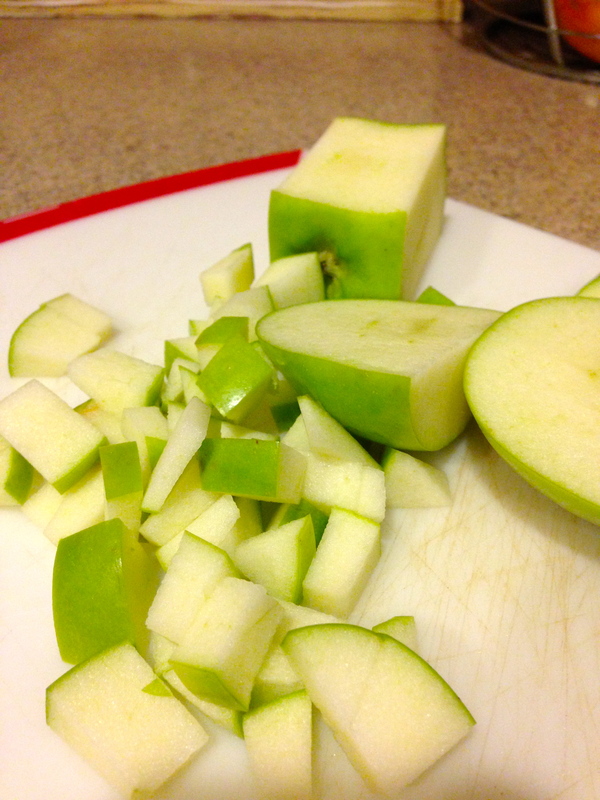 Next chop up your apple and n a bowl, stir together the apples, lemon and sugar. Add the flour, spices and salt. 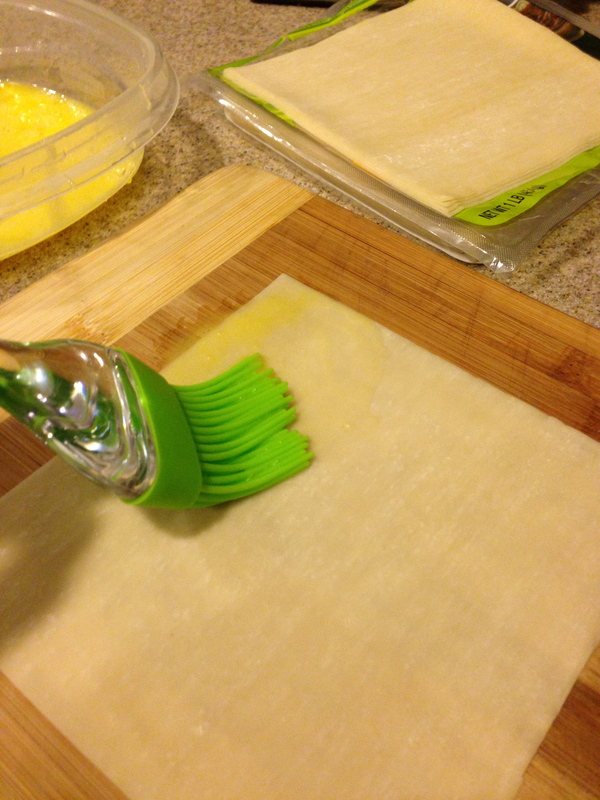 Beat your egg in a bowl and the lay egg roll wrapper on a plate or cutting board and brush egg around edges of the wrapper. Scoop about two to three tablespoons of apple mixture in center of wrapper. I decided to add a dollop of cream cheese to make a more creamy filling. 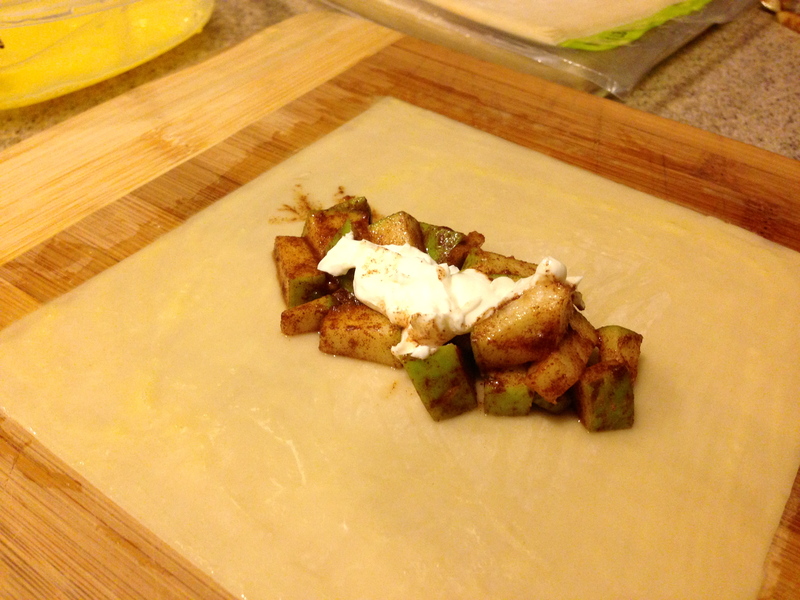 Once all your filling is on the wrapper, fold the sides and roll up! Bake for 10 minutes, then remove from oven and brush with melted butter and sprinkle cinnamon and sugar, cook for 5 minutes, you will see the wrapper turning crispy golden brown. 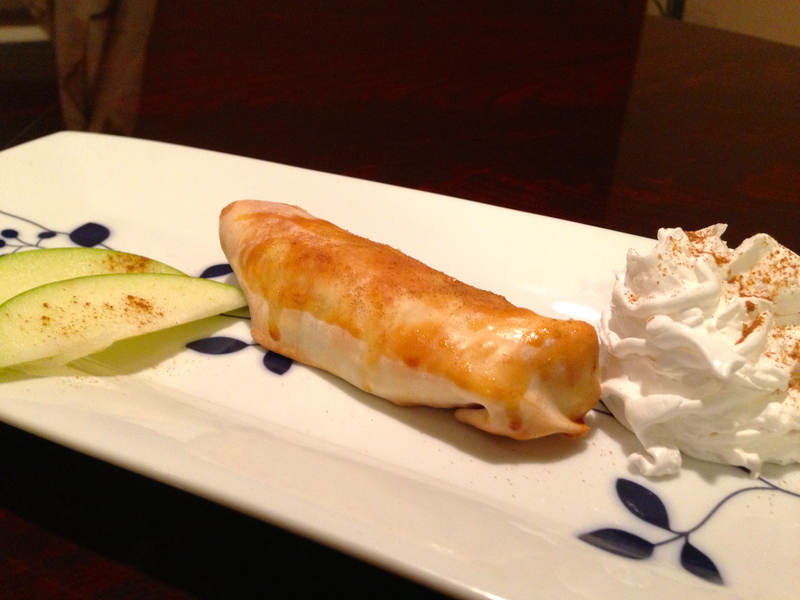 Serve these yummy rolls with whipped cream or vanilla ice-cream warm, yummy tummy!